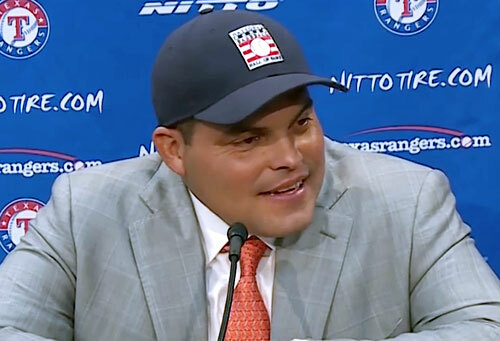 Ivan Rodriguez is a retired MLB catcher who played for the Texas Rangers from 1991–2002, the Florida Marlins in 2003, the Detroit Tigers from 2004–2008, the New York Yankees in 2008, the Houston Astros in 2009, the Texas Rangers again in 2009 and the Washington Nationals from 2010–2011. Rodriguez was named American League MVP for 1999 plus he is a fouteen-time All-Star for 1992–2001 and 2004–2007 as well as World Series champion for 2003. Sports Speakers 360 is a booking agent for pro athletes. If you would like to book Ivan Rodriguez for a speaking engagement, appearance or endorsement, contact an Ivan Rodriguez booking agent for fees at 1.855.303.5450.